Style has everything to do with how you rock your attire, not with what your attire consists of. I like having expensive threads, but I don't need them to feel stylish. Most of my wardrobe is made up of t-shirts and distressed jeans. 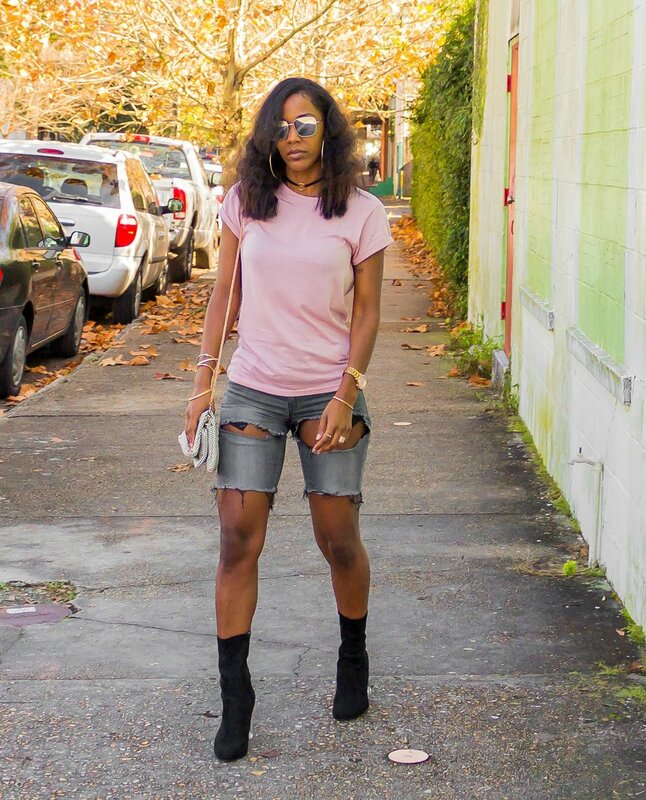 I can wear a t-shirt with almost any look whether it be dressy, casual, sporty, or business. 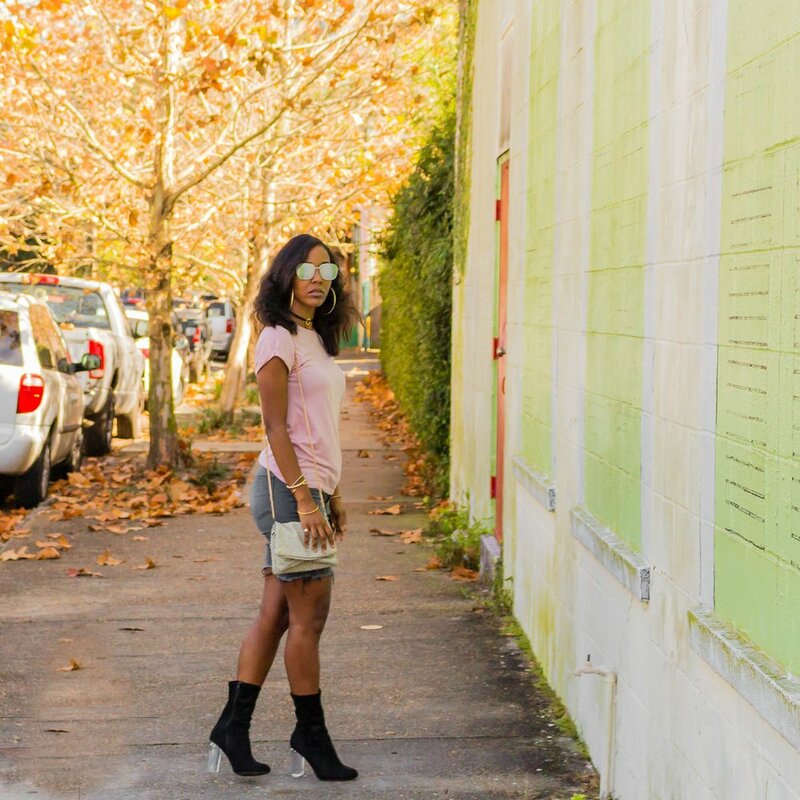 The Cuffed Slub Knit Tee I'm wearing in this post only costs $8.90! This shirt fits really good, and it will go with tons of looks. Check it out below. I paired the tee with my H&M shorts that I cut myself, my Vague Steve Madden booties (found them at an outlet store), and of course one of my chokers from Intuition. This entire outfit was under $100! Fashion is even better when it's reasonably priced; don't you agree? Have a great weekend everyone.....tune out all of the negativity and concentrate on the positive! Leave your email address below and get them delivered right to your inbox!